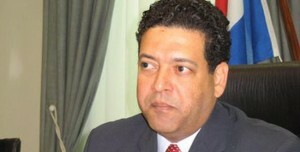 WILLEMSTAD – The leader of the political party PAIS, Alex Rosaria has requested a parliamentary meeting to discuss the Venezuelan crisis and the possible consequences for Curacao. The MP has asked a meeting with the parliamentary committee on Foreign Affairs to receive more information and to debate with the government and its experts in foreign relations. Rosaria stated in a letter, which was sent last Monday to request the meeting, that he laments the loss of lives in Venezuela and hopes that the country can resolve its issues quickly. He hopes for a dialogue between the different political forces of the neighboring country. The objective of this meeting should be, according to Rosaria, an exchange with the government about what the geo political and economical consequences are for Curacao. The MP hopes that this meeting can take place as soon as possible.